That preamble leads me to the discovery in my library of a volume which must have been left over from one of my children’s required reading lists, Tobias Wolff’s This Boy’s Life. First published in 1989, this memoir is another detailed account of a youngster’s struggle to survive under the most bazaar family circumstances. Toby’s mother, just like Jeannette Walls’, is a nomad, seeking a better life and fortune , always where the grass may be greener. Unlike Walls’ , Toby’s mother leaves his father and moves from man to man finally ending up in rural Washington living with a despicable and violent drunk. Each chapter will make the reader into a believer of the survival tactics that children adopt to conquer insurmountable obstacles. If this memoir has escaped your reading list, don’t delay. After you have read the book you may wish to Netflix the highly acclaimed 1993 movie This Boy’s Life starring a very young Leonardo DiCaprio and Robert De Niro. Tobias’ brother Geoffrey who stayed his father in Connecticut, had a very different upbringing from Toby ( Choate/Princeton). He is an important character in This Boy’s Life . He also became an author having written among other novels Duke of Deception in 1979 and The Age of Consent in 1995. 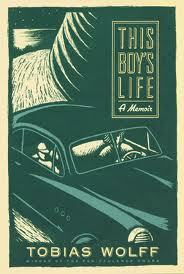 This Boy’s Life ends with Toby leaving ,or better said in the context of the memoir, escaping for the war in Vietnam. His experiences are detailed in his second memoir Pharaoh’s Army, Memoirs of the Lost War.